This ultimate fusion dish is really easy to make actually - you just boil the lobster for about 10 minutes. While it is cooking, you "prepare" the ramen by adding all the packet ingredients in a separate pot of boiling water just before the lobster is done. 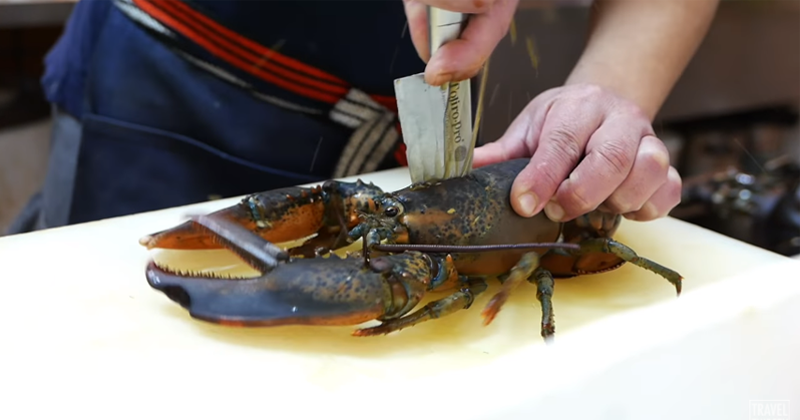 Drain the lobster, and put the beautiful crustacean on top of the boiling ramen.